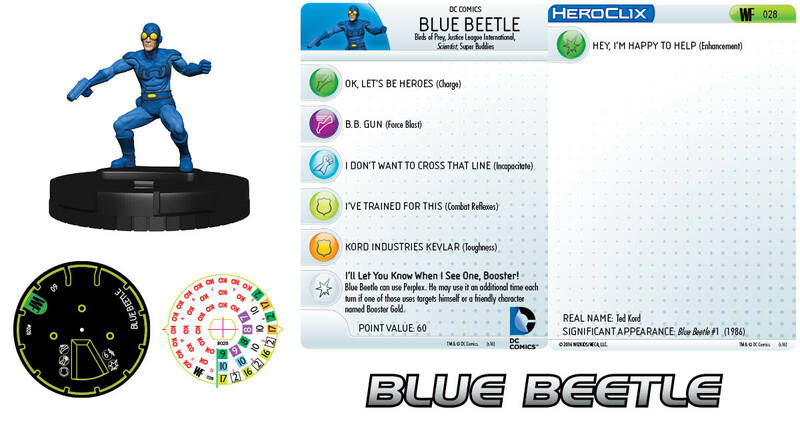 The name for the upcoming set for HeroClix is "World's Finest." The characters within represent some of the best and greatest in all of DC's pantheon of heroes. And then there's the two heroes on preview this time around. No, they're not the worst there ever was. They're still fan-favorites. They're certainly a bit different from the others. I'm talking, of course, about Booster Gold and Blue Beetle. As one would expect, the pair work exceedingly well together. 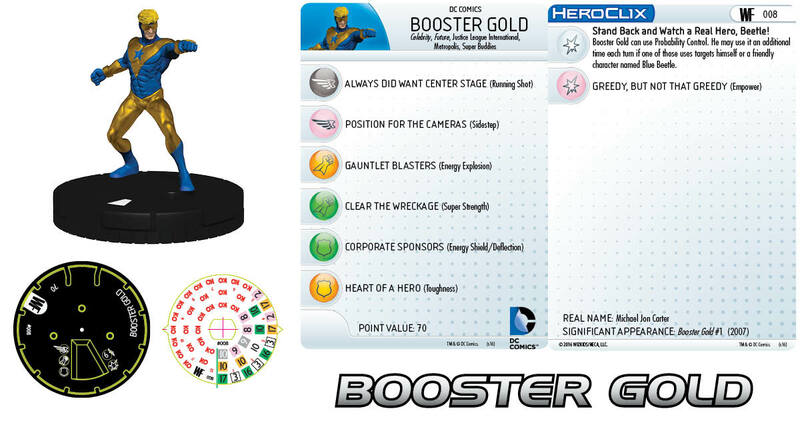 They both have a special power that allows them to use either Probability Control (for Booster) or Perplex (for BB) an extra time, as long as one of the two is used on a friendly character Named Booster Gold (for BB) or Blue Beetle (for Booster). Plus, at 60 and 70 points apiece, they're easy to fit into a build together and still have room for other characters.